While we've done annual blog post and best of lingerie roundups for a few years now, I've never done a more personal highlight list before. I've wanted to, but the year always runs out on me. I wrote a book! This is the big one. I started talking with my publisher, Ten Speed Press (an imprint of Penguin/Random House), last autumn, was able to make the official announcement earlier this year, and pretty much spent all of 2017 writing. This book is by far the hardest thing I've ever done, and it was worth every single moment. Not only do I have a book I am incredibly proud to show you, I also learned so much from the experience. I can't make the official title announcement and cover reveal until January, but let me just say this book is everything I wanted it to be and then some...and that I think you'll love it too. I modeled for a lingerie brand for the first time! Another major moment. I've run a lingerie blog for almost 10 years, and no brand has ever asked me to model for them before now. I honestly thought it was something that was just never going to happen. Well, earlier this year, when I still lived near LA, Playful Promises invited me to be the face of their Bettie Page Collection, and I eagerly accepted. There's something so awesome about partnering with a brand you believe in that also believes in you. In a year full of memorable experiences, this one absolutely stands out. I produced my first editorial shoot! Talk about a dream come true! For years now, I've wanted to put together TLA's very own magazine-style editorial, and this year it all came together. It was time-intensive. It was scary. And I had to learn a lot of new things in a pretty narrow window of time. But I've been so inspired and so thrilled by the feedback we've received, that I'm counting down the days until our next editorial! I started a private Lingerie Addicts Facebook Group! Speaking of dreams, the new Lingerie Addicts Facebook Group took off in ways I couldn't even imagine. This is literally my new favorite place on the internet. To have so many wonderful women and femmes together, united by our common interest in lingerie, ready to share our knowledge and discuss what we love and build each other up...it's beautiful. Just thinking about it makes me emotional. The Lingerie Addicts Group is the kind of haven I've always wanted to have. If you're eligible and haven't joined us yet, please stop by. I started a Lingerie Addict Patreon! Another 2017 goal, The Lingerie Addict Patreon is part of a long-term plan towards making TLA more independent by diversifying our revenue streams. 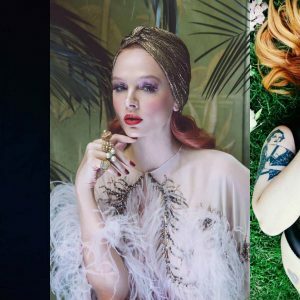 In exchange for their patronage, Patrons receive private rewards ranging from exclusive articles to handwritten thank you notes to special Patreon-only edits from our editorial shoots. If you believe in TLA and our mission, please consider supporting the Patreon. Click here to become a patron for as little as $1/month. I moved to Manhattan! Moving to New York was a lifelong dream of mine that I thought was never going to happen. It's funny because I'd just gotten okay with the fact that living in New York was impossible...and then we moved! I'm already feeling so motivated and inspired and rejuvenated by just being here, and I know that being in the center of the lingerie industry can only make TLA better. It feels like perfect timing. 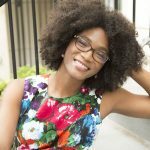 I was featured in Forbes (and quoted on Bloomberg, Allure, Mic, and Racked)! This year was an amazing year for mentions from major media outlets. 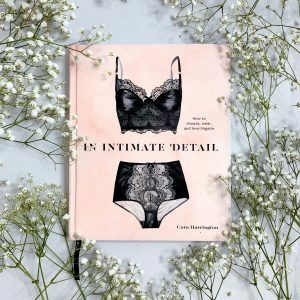 It's such an honor to have these publications ask for my thoughts on the lingerie industry, and I see these opportunities as a way to not only share my perspective on intimates but hopefully break up some of the misconceptions and myths around lingerie. Here's hoping there are more opportunities like this in 2018! Did you have a fave TLA moment? Any things you're hoping we do in 2018? Yes, the book will be out this year! I’ll be able to make the official announcement cover reveal soon. Thanks! When you line it all up like that, you really can see all the great things you and the team have done this year! I loved your first editorial shoot, and cannot wait to get your book in my hands. I am loving the Facebook group, and the Patreon finally gave me, as a reader, a way to add my financial support to your work. Not to mention you were great in your Playful Promises shoot. Here’s to more amazing work in 2018!